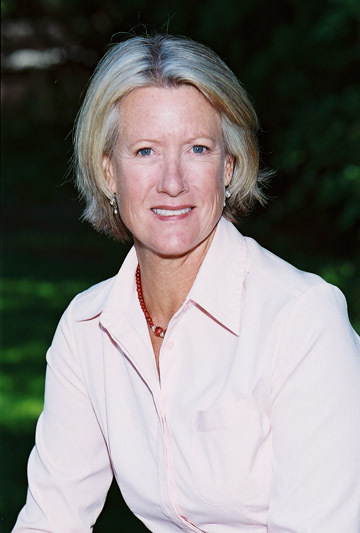 Carolyn Parks, CPM, President and Broker, Good Management Inc.
Carolyn has been actively engaged in real estate since 1984, specializing in the management and leasing of commercial properties. In 1999, she expanded her services to include sales and marketing of new home communities. Carolyn received The Certified Property Manager designation from the Institute of Real Estate Management in 1992 and has been a California Licensed Broker since 2004. The CPM designation is awarded by the Institute of Real Estate Management (IREM) of the National Association of Realtors to professional property managers. It is only awarded to individuals who have met rigid standards to demonstrate their ability in asset management, administrative, legal, social, economic, and physical areas essential to professional performance. IREM recognized Carolyn's excellence by awarding her the Certified Property Manager of The Year Award her first year as a CPM. A Santa Barbara native, Carolyn gained experience in a wide variety of commercial transactions by managing real property portfolios with gross lease areas in excess of 880,000 square feet for a variety of local premier developers and venture capitalists. She was Senior Portfolio Manager for The Towbes Group, SIMA Management and Martin V. Smith Corporation a total of eighteen years prior to expanding her consulting services to the residential real estate market. Since 1999, Carolyn has worked with clients in the planning, design, marketing and sales of new home construction communities (single family and town homes) in Santa Barbara and Ventura Counties. As the exclusive agent with The Larwin Group, Capital Pacific Homes and The Olson Company she was recognized as having the Best Buyer Retention Rate by The Ryness Company (2001) and in 2003 was recognized as having the highest sales value ($45,067,350) in new home community sales. "I have taken advantage of my extensive product knowledge and strong financial background to deliver with efficient execution and speedy results exceeding my clients’ expectations in both commercial and residential transactions." We have the expertise to ensure continuity and compliance with regulatory agencies for community associations in addition to the management, leasing and sales of residential and commercial properties. Our affiliations include the Santa Barbara Association of Realtors,the Multiple Listing Service for Santa Barbara County, Community Associations Institute (CAI), South Coast Homeowners Association, National Association of Realtors, Santa Maria Association of Realtors﻿ and The Santa Barbara Rental Association. Our portfolio consists of approximately 300,000 square feet of commercial property and approximately 750 residential and condominium units from Carpinteria to Solvang. ﻿Michelle Armstrong, PCAM, Community Association Manager, Michelle received her Professional Community Association Manager (PCAM) designation from the Community Association Institute (CAI) in 1995. She continues to invest in her career with continued coursework and educational classes to stay on the cutting edge in community association management. Educated locally at Laguna Blanca and UCSB, Michelle joined Good Management in our early days and has been a valuable and proactive team member from the beginning. Extremely attentive to the needs of Boards of Directors as well as those of homeowners, Michelle provides the leadership necessary to successfully manage high end community associations. McKenna Keays, Community Association Manager, McKenna is a seasoned veteran in community association management with over 35 years local experience in the management of residential and community association properties. Graduating from college with a degree in psychology and business management McKenna spent the first 25 years of her career as an on-site manager for retirement communities. She has managed properties with over 365 residential units and brings a wealth of hands on experience and knowledge in fiscal management, facilities management and community governance. She is also well versed with the ever changing laws of governing documents and civil code. An extremely detail oriented approach and commitment to her work has been consistently demonstrated by McKenna as a team player with Good Management these past five years.